Flare, soft focus. 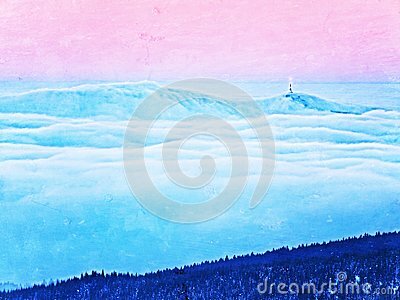 Pink orange sun rise above misty winter mountains, shinning fog. Peaks of mountains above creamy mist in valley.